Pillar Point is 9 miles west of Watertown, NY on beautiful Lake Ontario. The lakefront home is located at Adams Cove, in Guffins Bay, on the North side of Pillar Point. Adams Cove was once a ferry landing and is now a land mark that can be found on all New York State Maps. An off shore prevailing Southwest wind makes Guffins Bay great for boating and water skiing, as the water is typically very calm. A Boat launch is located near by, and 32-foot dock and Jet Ski ramp is located on the property. Additional Features: Washer/Dryer, Maid Service. Additional Ammenities: RV on site and RV rental 2 miles down the road, fully equipped for company overflow at an additional coast. Additional Activities: Sacketts Harbor, Bolt Castle, and Adirondack Mountains are all historical areas near by. Deposit: Half down to hold and other half due upon arrival. Along with a 200 dollar security deposit. A great place to stay if you’re ice fishing! 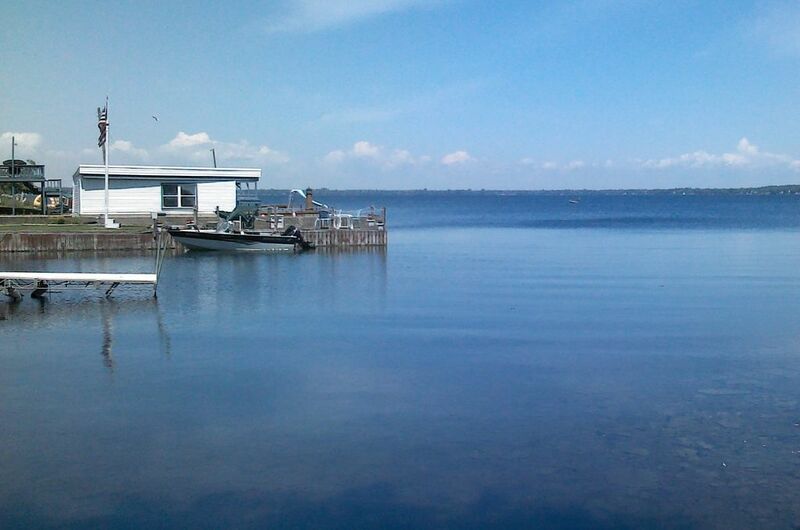 Jack was a great host and the house is in a great location with easy access to Guffin bay. It’s a perfect place for your ice fishing trip. Great place! Cozy and clean! I had a great visit. The cottage was located in a great location and quiet in the morning. It's right on the lake for easy access to the water. A very nice location any time of year. We had 4 day stay for Thanksgiving and the house and property were wonderful. Plenty of space, a great gathering area with a wood burning stove to keep the house warm, and all the conveniences or a Thanksgiving dinne setting. We really enjoyed our stay and the owner was very accommodating. My family of 8 which ended up being 9, had an amazing time in Mr. Jacks house. Our trip was during the cool month of October yet inside the house we were always warm. This was our first time going to New York and we didn't know what to expect but Mr. Jack made us feel welcome and the stay in his house included more than just the basic necessities and the view and location were great. Even in the cool month of October, the lake looked beautiful. My family and I traveled all the way up to New York from North Carolina to spend some quality time with my brother who we had not seen in almost 3 years because he is in the army so it was great that we got to spend such a great time with him. Nice, Cozy cottage with plenty of space and bedrooms. Stayed at this wonderful cottage while visiting our son during the birth of his 1st child just after Christmas. Jack was extremely hospitable and made sure we were very well taken care of. We had a wonderful visit with our family and new baby and a great place to come home to thanks to Jack!